Dr. Lee is board certified by the American Board of Internal Medicine®, and is a member of the National Board of Physician Nutrition Specialists and the American Board of Obesity Medicine. 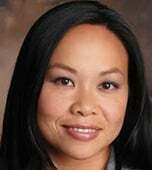 She practices internal medicine with a heavy emphasis on nutrition, wellness and weight management. Her goal is to standardize a diet plan that is evidence based through educating her patients and providing proven solutions that work. Doctor Amy Lee reveals everything you need to know about improving your digestive system: The #1 drink to avoid, 3 Harmful "health" foods, The #1 carb to avoid, 4 Natural digestive helpers and one herbal supplement can help. Bitange Nipa Tochi, Zhang Wang, Shi - Ying Xu and Wenbin Zhang, 2008. Therapeutic Application of Pineapple Protease (Bromelain): A Review. Pakistan Journal of Nutrition, 7: 513-520. Representations regarding the efficacy and safety of BIO X4 have not been scientifically substantiated or evaluated by the Food and Drug Administration. Two human clinical trials suggest that ingestion of BIO X4 can lead to a reduction in weight or body fat, copies of which may be found here: STUDIES. It is recommended that users follow a strict diet and exercise regimen to achieve weight loss results. These statements haven't been evaluated by the Food & Drug Administration. These products aren't intended to help diagnose, treat, cure, or prevent any disease. These products aren't intended for those with medical conditions. Use only as you are directed. Consult your doctor before using any supplements. Please consult your pediatrician before you give this product to a child under 18 years of age.